Most business owners know that SEO is important. An estimated 80 – 90% of con­sumers check online before buying a product. So if you aren’t doing SEO right, you’re leaving money on the table and it would pay to get some reliable, expert advice. If you have local cus­tomers though, what you really need is a local SEO expert. That doesn’t just mean an SEO expert in your area. It means someone who knows how to optimise a site for search terms that include loc­ation inform­ation. Like “yoga Newport” for instance (a key term for this client), or the even more com­pet­itive, “web design Newport”. For many busi­nesses, local SEO can be more effective than general, or “national” SEO. That’s espe­cially true for SMEs, because lots of us serve spe­cific areas. For instance, even though I work remotely, I focus on serving firms in the UK — espe­cially south east Wales and south west England. In fact, folks often prefer to deal with experts based in their own area. 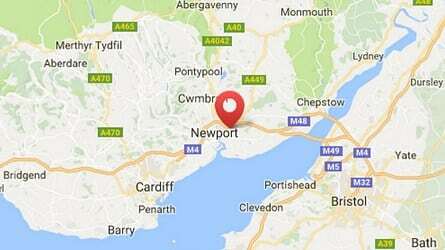 So I mostly provide web design, SEO and digital mar­keting ser­vices in the Cardiff — Newport — Bristol region. With local service areas then, it makes sense to focus on optim­ising for search engine terms that reach local cus­tomers. Google thinks so too, so now it uses your site visitor’s loc­ation to promote results from local firms. How Good Is Your Site’s Local SEO? Here are 5 signs your business could use some help with its pos­i­tioning in local search results. If your site per­forms poorly in any of these areas, or if you are unsure about any of them, it’s time to call in a local SEO expert. Are Your Competitors Winning in Local Search Results? Try running a search for your product and the town your business is based in. What shows up? You? Or your com­pet­itors? If your com­pet­itors are all you see it’s time to step up your game. Standard “national SEO” tactics like optim­ising your content and general link-building may help. If your com­pet­itors are getting local SEO right though, your site will still lose out until you match them. Do You Use “Google My Business”? This isn’t the same as getting on Google’s search pages. Many people think that’s all that matters, so this step is sur­pris­ingly easy to overlook. It is really important for local SEO, though. Google My Business lets you control your basic business inform­ation across Google ser­vices, including name, address and phone number (“NAP”) data. Google val­idates this as part of the sign-up process, then con­siders this defin­itive when deciding where your business is located. The info will show up on some searches for your business and links to Google Maps, too. Setting up your Google My Business account is easy, and a great way to increase your vis­ib­ility to a local audience. Adding some photos also helps with your business’s cred­ib­ility and there’s even a spot for reviews. Cus­tomers love reviews, so they carry a lot of weight with Google. Even a few pos­itive reviews on Google can mean a lot for local SEO. Google My Business will also let you set up a very (very!) basic, free one-page website to display this inform­ation. Whilst this can be useful for brand new micro-busi­nesses on a limited budget, it can’t compete with a real website (as you’ll soon see if you want to try it). Have You Built Local Backlinks? Link building is another important piece of the SEO puzzle. Linking your page to author­it­ative web­sites helps boost your cred­ib­ility. That’s true for national SEO as well as local, but the topics covered by the pages that link to you are also important. So nat­urally, links from well-respected sites about ser­vices in your area can boost your pos­i­tioning in local searches. Local dir­ectory sites are among the easiest links to get, though many provide only “nofollow” links. Whilst such links don’t (dir­ectly) improve search pos­i­tioning, they comply with Google’s “don’t buy links that affect SEO” policy. They are often useful traffic sources however, and help local SEO in other ways. How Consistent Are Your NAP Citations? Say what? Don’t worry, it’s simpler than it sounds. “NAP” just stands for “Name, Address, Phone (Number)”. A “citation” just means any ref­erence to these details on a web page. NAP cita­tions don’t have to be linked to your website at all to affect local SEO. That’s a good reason to get listed on local dir­ect­ories even if they don’t offer any kind of backlink. Con­sistency is important, though. Put simply, if Google sees your business name, address and phone number presented in the same way on lots of sites, it will be more con­fident of your loc­ation. That con­fidence then boosts your local search pos­i­tioning. Incon­sistent formatting — like using common abbre­vi­ations for “Road” or “Street” on some sites, but not on others — under­mines that con­fidence. It’s just harder for the search engines to recognise that these refer to the same thing. The trouble is, this inform­ation may appear on some sites without your know­ledge, so it often isn’t con­sistent. It takes special tools to scour the web for NAP citation incon­sist­encies and to correct those that can be cor­rected. So, it really is best to call in an SEO expert to help with this. Is Your Website Engaging Enough? When people see your site in search results, does the description really encourage them to click? When they reach your site, do they stick around, browsing across several pages? Or do they bounce straight back to the search pages because they couldn’t find what they were looking for? Such “beha­vi­oural” signals are espe­cially important for local SEO. Some­thing as simple as getting the description right can make the dif­ference between the number 3 spot and the coveted number 1 spot. You can get the rel­evant stats for your site by using Google Ana­lytics. Fig­uring out how to improve them can be a bit more dif­ficult, though. This can be a great reason to call in a local SEO expert. So, Do You Need A Local SEO Expert? Thank­fully, you don’t have to invest in expensive tools or learn how to do all of this yourself. You just need to find a reliable local SEO expert — and you’re already in the right place for that! Are you ready to improve your local SEO results?